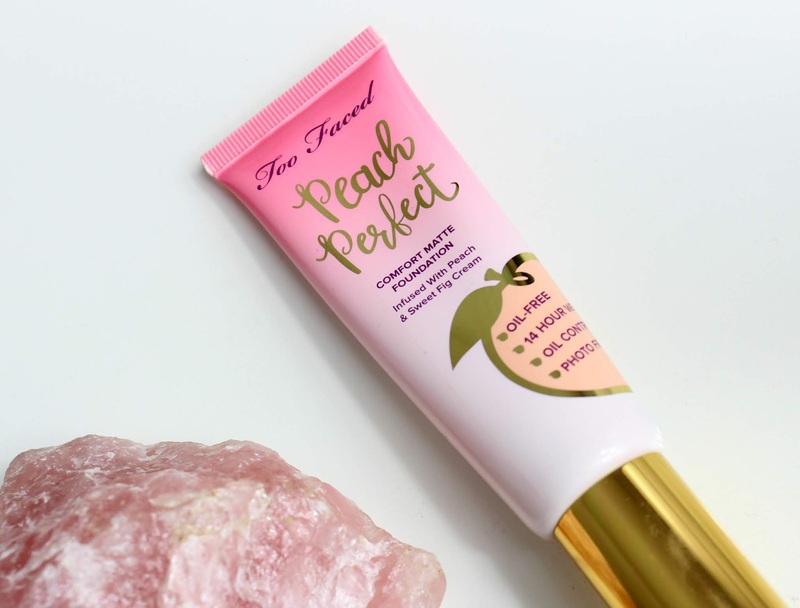 I love trying new foundations, with so many amazing brands on the market these days it can be hard to find the perfect one in the midst of different lotions and potions, the next to be put to the test is the 'Peach Perfect Comfort Matte Foundation' by Too Faced cosmetics. 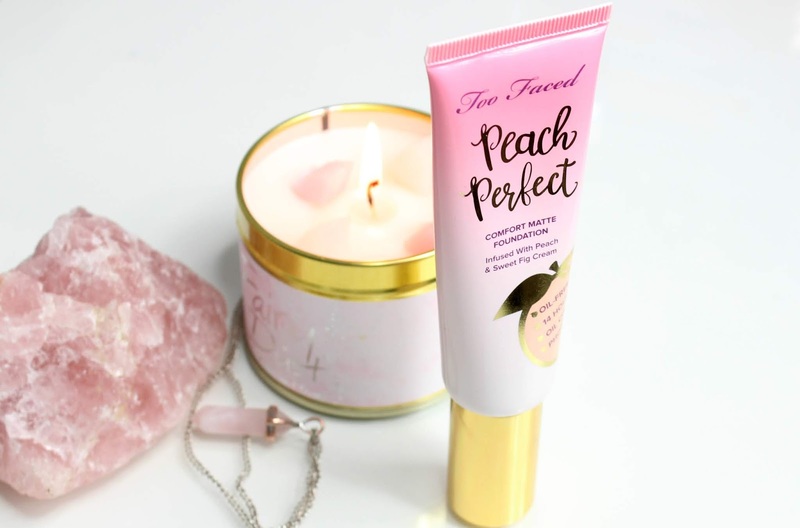 If you are a reader of my blog or a viewer of my YouTube channel, you will know that I was lucky enough to attend the Too Faced X Debenhams Peaches & Cream launch event in London last month, I wrote all about that right here. At the event, they had all the products laid out on the table to have a nose at and I was particularly intrigued by the foundation, the shade range is amazing too! 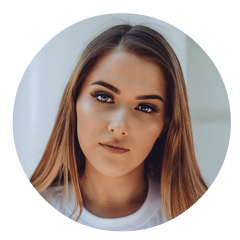 I'm a girl who loves a matte finish to a foundation, then I'll go in with highlighting products where I need as a lot of foundations don't last as well on me as I'd like them too, especially around my nose, top of my forehead and chin area where my skin is the most oily. First of all, this foundation smells unreal - the whole collection smells of - yep, you guessed it! Peaches! 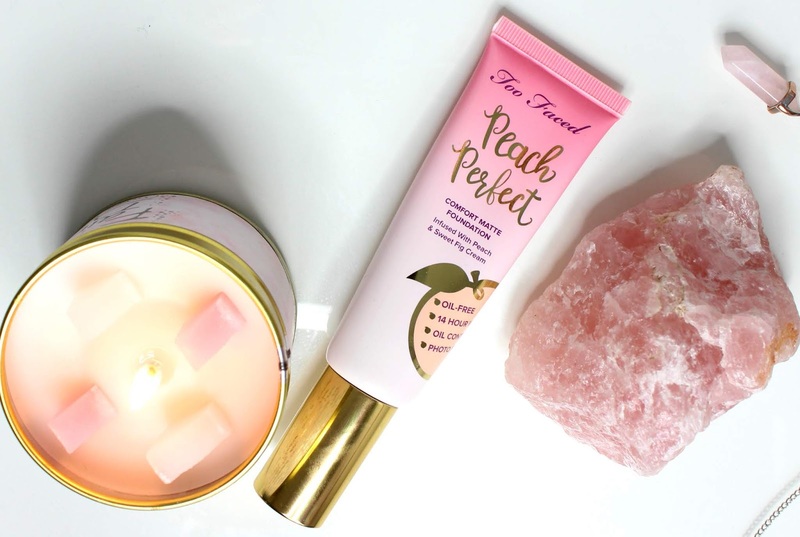 It's divine and smells really fresh and clean, which makes it a dream to apply to your face. I applied this foundation on top of the matching primer as they're supposed to work together and I really liked the finish, it's definitely a medium coverage and I wouldn't say that it's build-able but this isn't an issue for me as I'll go ahead and conceal where needed. Once applied, I was really impressed with the finish of the foundation and how you could still see my freckles on my cheeks, it looked very skin like. The below photo is after 11 hours of wear, through a day of filming/editing and serving customers in a busy leisure centre that I work at currently in the evenings, so I'd say it's pretty good after all of that as I really put it to the test. The only thing I can really say about it is that it did slide off the end of my nose a little bit by the end of the night and go a little bit patchy on the very top of my forehead, although I think that may be due to me brushing my hair back with my fingers so that's not a negative for me, overall I'm rating this foundation a 7/10 and would recommend you try it out, you can get it from Debenhams here. 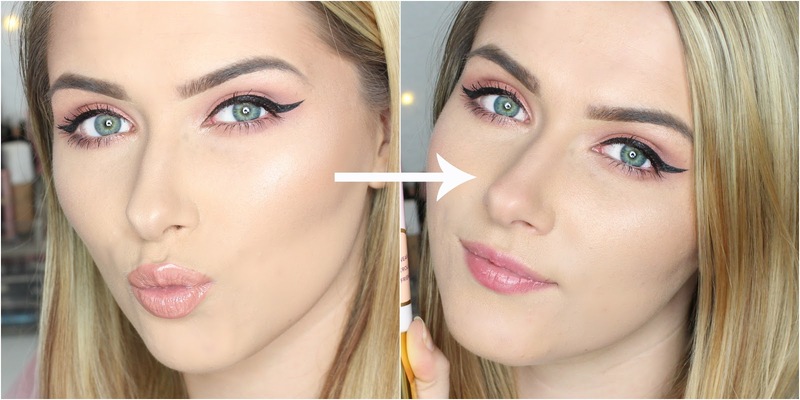 Have you tried this foundation or anything else from the Peaches & Cream collection, what are your thoughts?